Have you ever wondered why essential oils vary so much in price or what the difference is between the many brands of oils? Perhaps you have heard the phrase, “pure, therapeutic-grade essential oils” but don’t know what it really means. The Reference Guide for Essential Oils by Alan and Connie Higley includes a section about what pure, therapeutic-grade essential oils are and why it is important to make sure you use high quality oils. What are PURE, THERAPEUTIC-GRADE essential oils? Essential oils are the volatile liquids that are distilled from plants (including their respective parts such as seeds, bark, leaves, stems, roots, flowers, fruit, etc.). One of the factors that determines the purity and therapeutic value of an oil is its chemical constituents. These constituents can be affected by a vast number of variables, including the following: the part(s) of the plant from which the oil was produced, soil condition, fertilizer (organic or chemical), geographical region, climate, altitude, harvest season and methods, and distillation process. For example, common thyme, or thyme vulgaris, produces several different chemotypes (biochemical specifics or simple species) depending on the conditions of its growth, climate, and altitude. 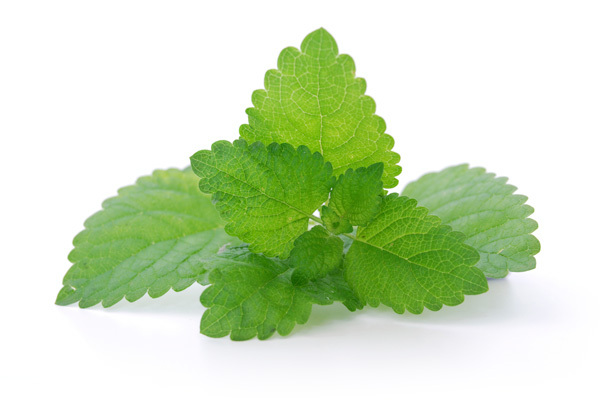 High levels of thymol production depend on the time of year in which it is distilled. If distilled during mid-summer or late fall, there can be higher levels of carvacrol that can cause the oil to be more caustic or irritating to the skin. Low pressure and low temperature are also keys to maintaining the purity, the ultimate fragrance, and the therapeutic value of the oil (Reference Guide, 7–8). As we begin to understand the power of essential oils in the realm of personal, holistic health care, we comprehend the absolute necessity for obtaining the purest therapeutic-grade essential oils possible. No matter how costly pure therapeutic-grade essential oils may be, there can be no substitutes. Chemists can replicate some of the known individual constituents, but they have yet to successfully recreate complete essential oils in the laboratory. Anything less than pure, therapeutic-grade essential oil may not produce the desired results and can, in some cases, be extremely toxic (Reference Guide, 8). Producing the purest of oils can be very costly because it may require several hundred pounds, or even several thousand pounds, of plant material to extract 1 pound of pure essential oil. For example, 1 pound of pure melissa oil sells for $9,000–$15,000. Although this sounds quite expensive, one must realize that 3 tons of plant material are required to produce that single pound of oil. Because the vast majority of all the oils produced in the world today are used by the perfume industry, the oils are being purchased for their aromatic qualities only. High pressure, high temperatures, rapid processing, and the use of chemical solvents are often employed during the distillation process so that a greater quantity of oil can be produced at a faster rate. These oils may smell just as good and cost much less, but they will lack most, if not all, of the chemical constituents necessary to produce the expected therapeutic results (Reference Guide, 8). Essential oils embody the regenerating, oxygenating, and immune-strengthening properties of plants. Essential oils are so small in molecular size that they can quickly penetrate the skin. Essential oils are lipid-soluble and are capable of penetrating cell walls, even if they have hardened because of an oxygen deficiency. In fact, essential oils can affect every cell of the body within 20 minutes and then be metabolized like other nutrients. Essential oils contain oxygen molecules that help to transport nutrients to the starving human cells. Because a nutritional deficiency is an oxygen deficiency, disease begins when the cells lack the oxygen for proper nutrient assimilation. By providing the needed oxygen, essential oils also work to stimulate the immune system. Essential oils are very powerful antioxidants. Antioxidants create an unfriendly environment for free radicals. Antioxidants prevent all mutations, work as free radical scavengers, prevent fungus, and prevent oxidation in the cells. Essential oils are antibacterial, anticancerous, antifungal, anti-infectious, antimicrobial, antitumor, antiparasitic, antiviral, and antiseptic. Essential oils have been shown to destroy all tested bacteria and viruses, while simultaneously restoring balance to the body. Essential oils may detoxify the cells and blood in the body. Essential oils containing sesquiterpenes have the ability to pass the blood-brain barrier, enabling them to be effective in the treatment of Alzheimer’s disease, Lou Gehrig’s disease, Parkinson’s disease, and multiple sclerosis. Filling the air with a fresh, aromatic scent. Essential oils have a bioelectrical frequency that is several times greater than the frequency of herbs, food, and even the human body. Clinical research has shown that essential oils can quickly raise the frequency of the human body, restoring it to its normal, healthy level. The information above is an abridgment from the Reference Guide for Essential Oils under “Basic Facts about Essential Oils” in the “Science and Application” section by Alan & Connie Higley. This information has been designed to help educate the reader in regard to the subject matter covered. This information is provided with the understanding that the publisher, the authors, and Abundant Health™ are not liable for the misconception or misuse of the information provided. It is not provided in order to diagnose, prescribe, or treat any disease, illness, or injured condition of the body. The authors, publisher, and Abundant Health™ shall have neither liability nor responsibility to any person or entity with respect to any loss, damage, or injury caused or alleged to be caused directly or indirectly by this information. The information presented is in no way intended as a substitute for medical counseling. Anyone suffering from any disease, illness, or injury should consult a qualified health care professional.